Give that man in your life their very own bespoke Personalised King of Apron. Flattery will get you a long way when you give them the title of King for that special dish they make. Your personalised mens apron will feature the dish or drink he is king of and odf course his name. Maybe he is the King of the BBQ, King of Bacon Sandwiches. Our aprons come in 6 great colours and we there is a impressive selection of print colours to choose from. Each and every apron is hand printed by Name it Labels, in our Somerset Studio. Aprons are made from 100% polyester, feature a front pocket, adjustable neck tie with buckle and fabric waist ties in the colour of the apron. 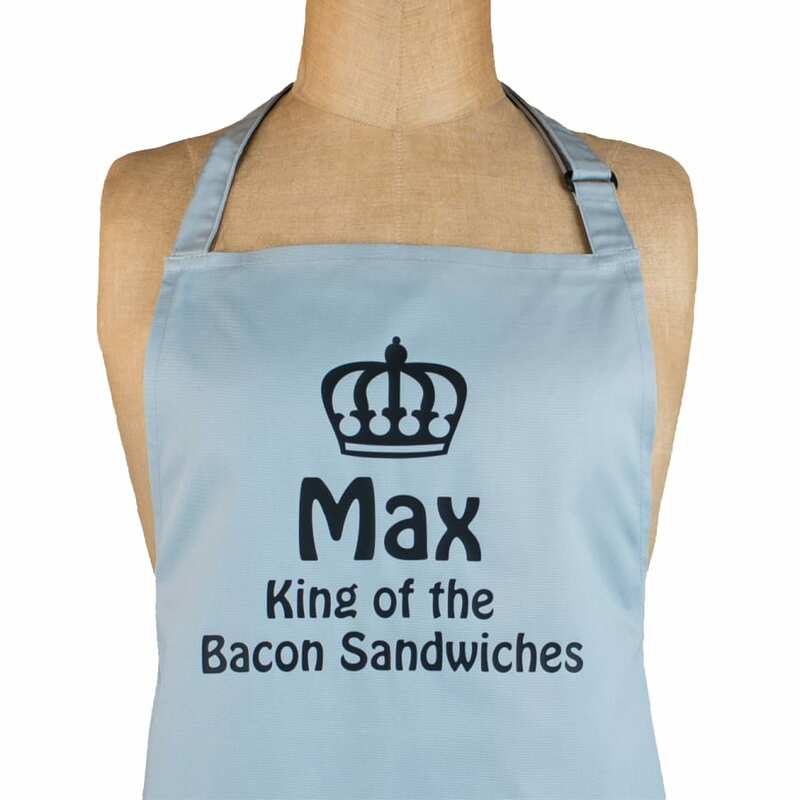 Your personalised King of Apron, will be dispatched within 5 working days. However if you need it sooner, just drop us an email at sales@nameitlabels.co.uk and where possible we will get it printed sooner. A personalised apron makes a great gift for Birthdays, Christmas or for this design Father's Day.